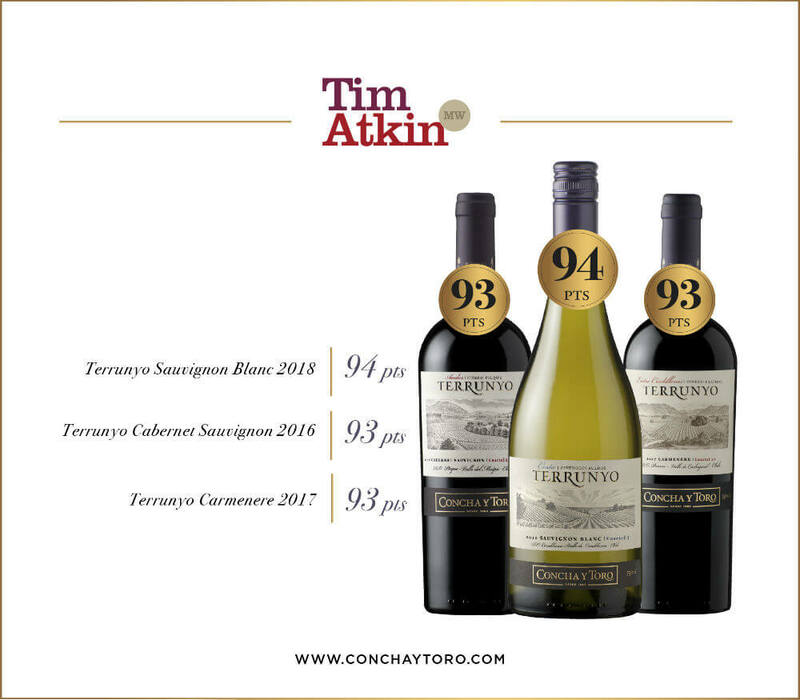 After his trip to Chile, the renowned British wine critic, Tim Atkin MW, awarded 94 points to Terrunyo Sauvignon Blanc 2018, while both Terrunyo Cabernet Sauvignon 2016 and Terrunyo Carmenere 2017 received an exceptional 93 points. Terrunyo once again received exceptional scores, this time at the hand of renowned British journalist, writer and Master of Wine, Tim Atkin MW. After his recent trip to Chile, the prestigious wine critic recognized Terrunyo Sauvignon Blanc 2018 with 94 points, while granting 93 points to both Terrunyo Cabernet Sauvignon 2016 and Terrunyo Carmenere 2017, confirming the brand’s leading position in those varietals and the excellence of their terroir. Tim Atkin MW visited Chile from December 5th-22nd for the purpose of touring deferent vineyards from north to south and preparing a new report on the country, which will be made public this coming March at the ProWein fair in Düsseldorf, Germany.